When you receive a new lease on life, you stop checking boxes on your to-do list and start doing things differently. Randy Milanovic is the CEO and founder of Kayak Online Marketing. In 2009, a tough year for most of us, he had an even tougher year. He was diagnosed with cancer and I don’t mean to spoil the story, but he’s here to tell us about it and how it changed the way he does business and does life. 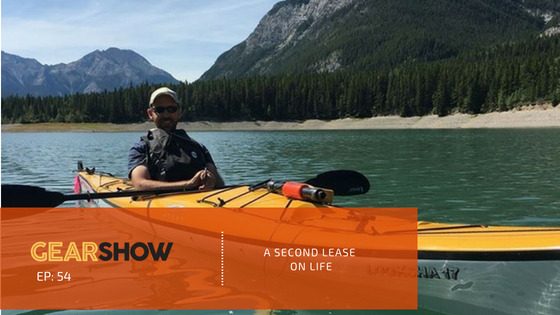 We’ll learn how he reinvented his business on the heels of an economic downturn with a fresh outlook on life and … listen to the end because you’re even going to get an invite to go kayaking. Hope you find today’s episode inspiring. With that, let’s listen in and gear up for what’s next. Have questions? We’d love to hear from you. Contact us here or in the comments. There are a number of ways to access this (and other podcasts). You can listen directly from this page by clicking that orange play button above or the download link. Reviewing and sharing are the most helpful ways to get this in front of new listeners. I really want to hear from you – questions, topic and guest suggestions, anything. Talk to me in the comments below or here.